Buying a bed mattress is a type of investment, therefore maintaining your mattresses life is very essential. Taking care of you mattress to extend its life will save you from making future expenses. Another aspect about which we consider is the duration of comfort and ease that it provides to us. A good mattress can help you attaining sound sleep and provide your spinal cord support. On the other hand a bad mattress can present you several uncomfortable nights as well as a bad posture. Lack of sleep somewhere is a great cause of a lot many diseases. What is the life span of a mattress? A mattress should be brought in such a way that it should provide you proper comfort before replacement. The average life of a mattress depends on the type of material which it is made up of. This is why it is essential to pick any mattress on the basis of certain factors. However, the average lifespan of a mattress generally ranges from 7 years to 10 years. In many cases mattress lifespan can also exceed more than 10 years of time as well. Moreover it also depends the type of care that we take of our mattresses. How you can enhance the mattress lifespan? There are many ways how you can expand the life span of your favorite mattress. The best thing you can do to prevent the life of your mattress from depleting is to cover it with a mattress cover. The cover can be made from variety of materials like natural fibres or artificial fibres. The mattresses cover also prevents the mattress from all sort of dirt and dust. Although this point does not need to be mentioned but cleaning of the mattress at least once in a week is a must. As human body produces a lot of dead cells and dust so it needs to be cleaned thoroughly. If not cleaned properly the dust gets accumulated and hence it makes the mattress rigid. Due to body oil secreted by human body. 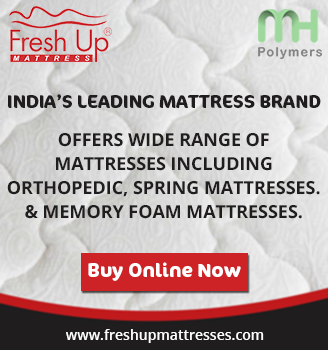 The mattress becomes rigid and the fiber of the mattress also gets firm. So it is essential to use the mattress pad. They work as a shield for the mattress. Thus they help preventing any sort of contamination and dust to enter inside the mattress. The best aspect about enhancing the lifespan of the mattress is that you must keep changing the side of the mattress. Or you can also keep rotating the side of the mattress after every three months. This factor is essential for increasing the life span of your mattress as due to your body weight the mattress tend to get deformed. In order to maintain the normal size of the mattress you must keep rotating the mattress. Take care of your mattress by preventing the bed bugs from entering inside your mattress. As they are the complete destroyer’s, bed bugs can ultimately destroy your mattress. All these tips will surely help to enhance your favorite’s mattress lifespan. As you buy it with your hard earned money it needs proper care and attention. Proper cleaning can augment the life span of your mattress to a great extent.